We buy old currency. 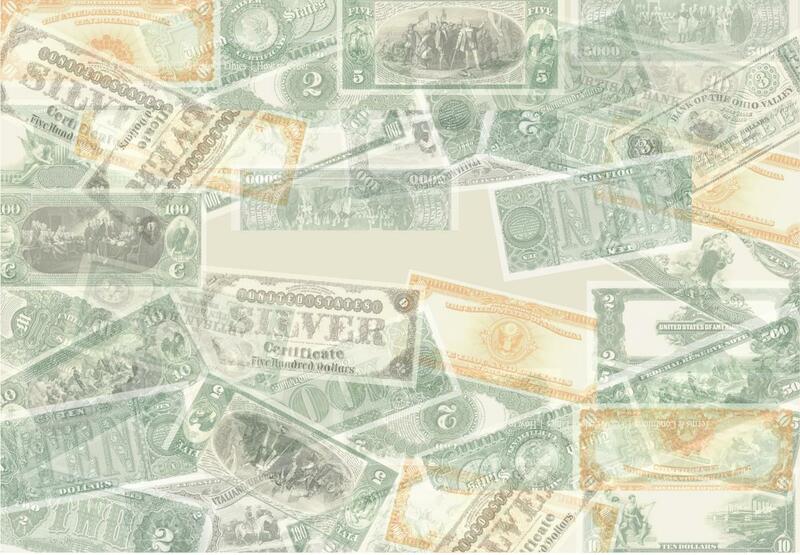 We are always eager to buy high quality antique and rare U.S. paper money. Please contact us when you are ready to sell your collection or individual items. Other recently added listings are also posted under "NEW LISTINGS" on the left sidebar for a limited time. To view all current inventory by type, access item categories and sub-categories from the navigation bar at left. Payments: We accept Money Orders, Checks, PayPal and Charge Cards. Electronic charge card payments via the shopping cart is not activitated at the present time, except through PayPal. All payments must clear before shipment. U.S. Postal Service Money Orders often have the quickest turnaround for mail-in payments. PayPal payments (from your PayPal account or using your charge card) may be completed electronically when you check out. These payments will be processed directly from the PayPal web site. An existing PayPal account is not required to process your charge card through PayPal. Alternate shipping locations are not available for charge card or PayPal orders. If you would like us to process your charge card directly, please call 614.864.8875. This service may be limited and, depending upon the material ordered, a service fee may apply. Lay-Away is available upon request and is free of charge for a period of 90 days or less.